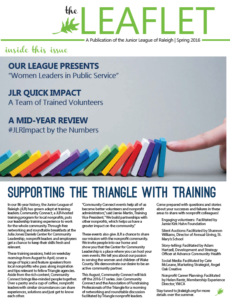 What has the Junior League of Raleigh been up to lately? What are our volunteers doing out in the community? Find out in the Leaflet. 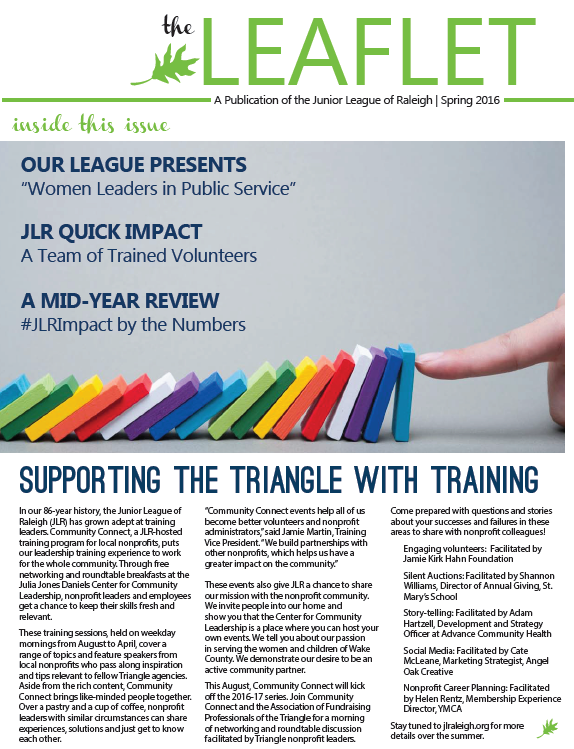 The Leaflet, a newsletter published twice a year by the League, highlights our volunteer activities with community agencies across Wake County. 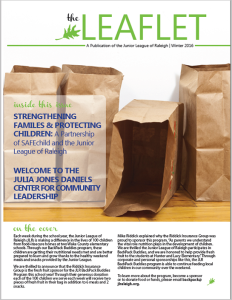 Written with our community partners in mind, the Leaflet shares stories that demonstrate how our League impacts the lives of local children and families. 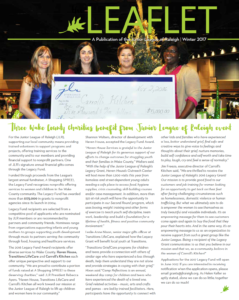 The Junior League of Raleigh is proud of the important work that our volunteers do and we want to share it with you. Get the Leaflet: Join our mailing list.